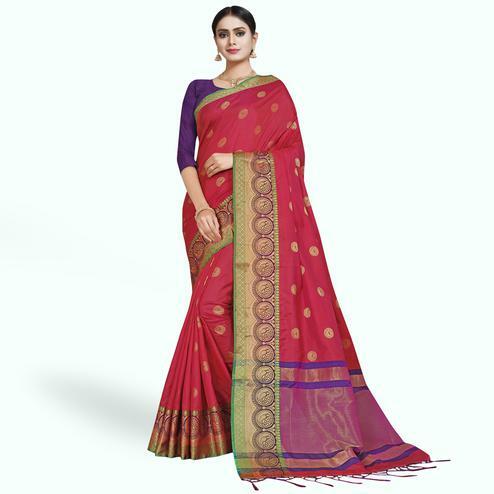 Grab this beautiful pink color polyester cotton silk fabric saree which has got floral pattern embroidered work lace border as shown. 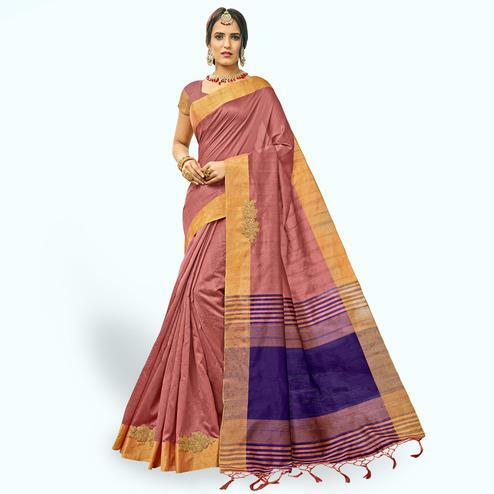 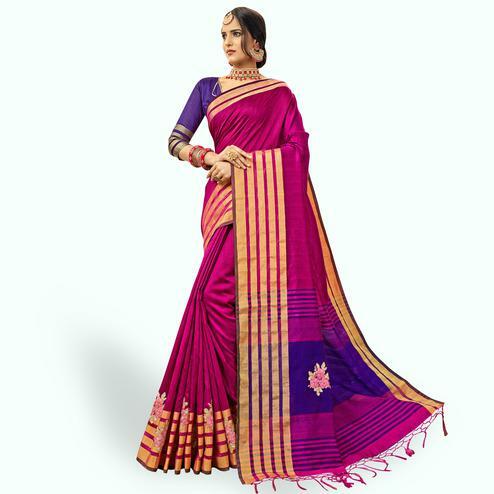 Saree paired with purple matching fabric blouse having stripes design woven work. 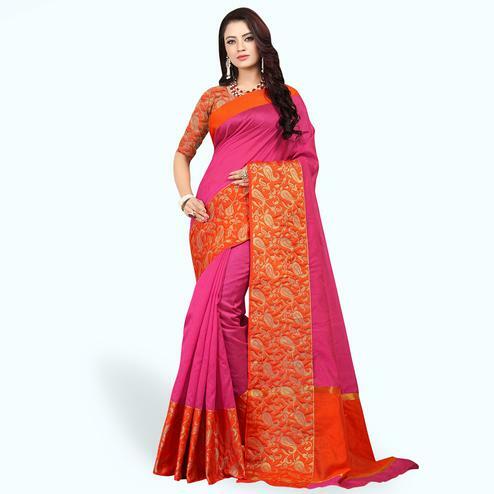 Team this saree with golden jhumki earring and necklace set to look more attractive. 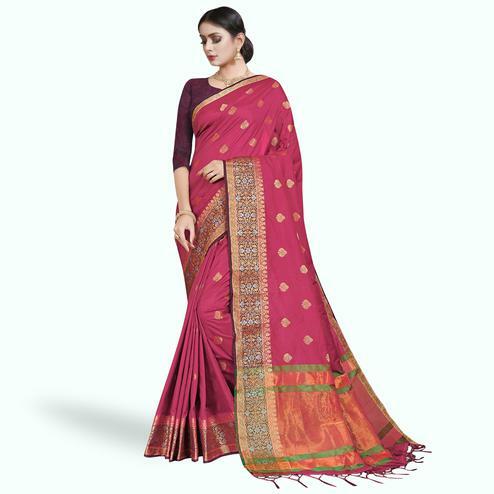 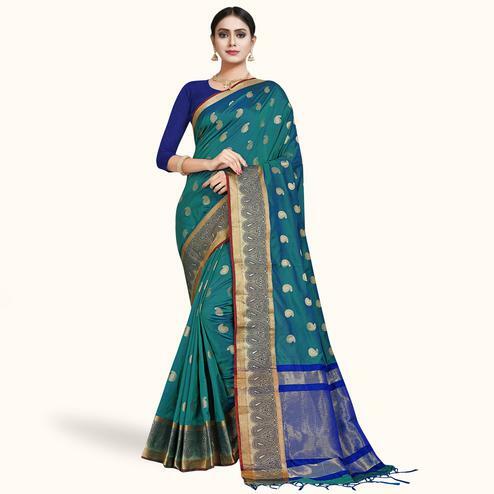 It's a perfect saree to wear for festivals and functions.